The Kids of all ages unleashed their imaginations with Toobers and Zots co-sponsored by the Museum and Little Kids, Inc. The Attleboro Jewelers, the Women at Work Museum and the Womens Jewelry Association teamed up to sponsore a Jewelry Design Contest! Children's writing workshop inspired young people to tap their inner "Twain" to creatively write their own stories. On Saturday, November 5, 2011, the Women at Work Museum hosted a writing workshop for young people titled "The Mystery of the Trunk" as one of the final 2011 Big Read events. 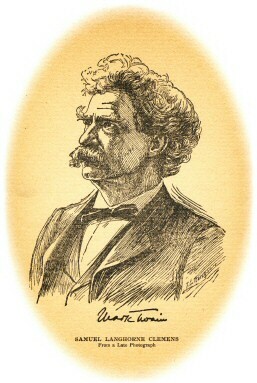 The Big Read selection was “Tom Sawyer” authored by Mark Twain. The workshop utilized a trunk with Twain memorabilia as inspiration. Writers tapped their inner "Twain" to creatively write their own travel stories and then joined forces to write a story about a “Twain” coin. (Coin story follows) Individual stories are posted in the Museum and will be available for viewing when the Museum reopens in March, 2012. The workshop was lead by Deb Titus who has developed a series of workshops for young people and women to help participants find their creativity, develop confidence, and believe in themselves and their writing abilities through mind-mapping, games, drawings and writings. Watch for more workshops from Deb. The following story was written by all the girls at the workshop. Each paragraph was written by a different girl. It was a sunny day. The trees rustled lightly in the wind. Tom walked along the green grass slowly making his way toward the pond. The sun was reflecting off of almost everything, but there in the corner of his eye he saw something glimmer. It was a coin! He fingered his way through the grass. It looked pure gold. Tom rubbed the coin through his dirty hands. It felt so real. Okay Tom thought to himself, one last test. He brought the coin up to his mouth and bit it. Instead of a coin falling out his tooth came out - blood and all. Tom flinched. So it was real gold. What should he do with it? He could buy anything at all. Then he heard Aunt Paula. It was dinner time. But Tom didn’t want to go. So instead he went down the hill with his tooth and coin. He couldn’t believe that his tooth fell out while biting this coin. As he was thinking about this he dropped the coin and a dog ran by and chomped on the coin. Tom knew the coin was valuable but more importantly the coin meant the world to him. So he ran after the dog “come back here” he hollered. The dog jumped into a pile of mud, he dug up a hole and ran away. “NO”! shrieked Tom. He ran into the dirty pile of mud. That was the most valuable thing to me. Life is never going to be the same. All of a sudden he saw something flicker in the mud. He yanked it out “I found it” he said. He jumped up and down with joy. All of a sudden he heard barking -not this time - he held up the coin way up in the air so the dog couldn’t get it. Then he heard foot steps. It was Aunt Paula. She was mad, she stomped over “What are you doing it’s time for dinner” she said with anger. “Sorry.” He stammered, dragging his feet in the mud. “Well, I found this coin…” Aunt Paula stared down at him, making him feel small. “Tell me later.” She said, dragging him out of the mud. “I made the best dinner with all of your favorite vegetables. Vegetables! Gross. Tom made a sour face. As he walked inside, Tom started telling Aunt Paula about the coin. “It’s very valuable” he said. “It’s pure gold, that’s for sure.” Aunt Paula smiled. “Can I please see this …. um …. coin you found?” Tom smiled. “It’s right here,” he replied. He checked his back pocket. Oh no, the coin was gone! “I don’t see how it could have fallen out.” Tom mumbled to himself. After Tom started groping in his pocket, he suddenly felt a small hole, big enough for a coin to fall out. He gulped. What would he tell Aunt Paula? Oh, I lost a very valuable gold coin and now it’s stuck in a pile of mud somewhere. No way! “Well …. Where is this coin? I would love to add it to my collection.” Tom felt a lump in his throat get bigger. What was he going to say? “Um… Ahh…” he sputtered. “It’s” he started to shake. “Are you okay Tom” Aunt Paula asked. “Yes very” he said. “Well I’ll look at it after dinner” Aunt Paula said. “Oh No” Tom thought. He had to face two problems: 1. He had to find the coin; 2. He had to eat veggies. “Come, Tom” said Aunt Paula. Now Tom goes inside and before he sits down to eat the horrible veggies he finds the coin on his plate! He starts dancing and singing but then Aunt Paula took the plate, coin and all, and dashed out the door. “Hey” Tom shouted, shoving the chair out from beneath him and sprinted out the door after her. He ran through the garden, he ran down the hill, and he ran after his Aunt. But within a few minutes she was already over the hills and meadows by the time that Tom realized that he was never going to catch up with his wicked old Aunt Paula. Tom was sweating and tired as he sat down next to the river stream. He was breathing heavy when he saw something shimmer out of the corner of his eyes. Something circular and shiny. Something priceless and gold. Could it be another gold coin? On Saturday, June 25th, the Women at Work Museum sponsored a "Work at Play" Project for children and adults at Attleboro's 3rd annual Expo for the Senses. Inspired by a BBC television show, James May Toy Stories, the Women at Work Museum wanted to try something big and fun and different for this year’s Expo for the Senses. “I wanted an idea that would allow children and adults to build and explore creatively, but in a big way,” explained Museum Board Member Kelly Fox. 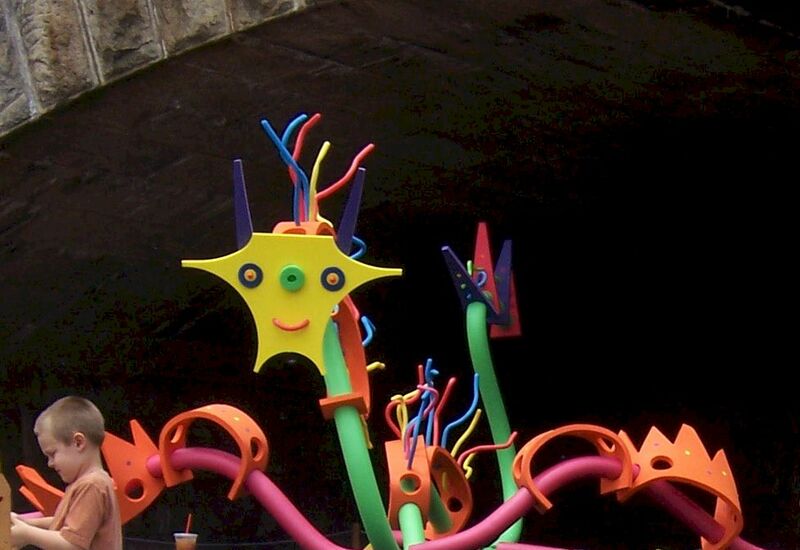 “The TV show is mostly about adults building large scale projects out of Legos or Erector sets, but I wanted children and families to become the designers and engineers and to see the project come to life!” The original idea was to make a sculpture that would go down the hill from the center of the city to the Museum, but due to safety concerns and traffic flow, the project was held under the arch instead. All profits generated from the event were generously donated by Little Kids, Inc. to the Women at Work Museum. This event was funded in part by the following local Cultural Councils: Attleboro, Mansfield and Rehoboth. Jewelry design no larger than 7" x 5"
Entry must be original work without record of prior award recognition. The drawing was held at the Attleboro Jewelers display (on the common) at the Attleboro Expo for the Senses on Sunday, June 26, 2011. 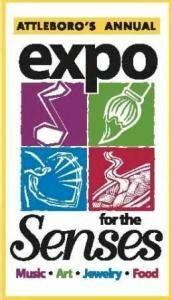 Voting took place on June 26th, 2011 during Attleboro’s Expo for the Senses event. Designs were voted on by the general public and a distinguished panel of jewelry designers, art directors and jewelry-trade leaders. The design with the most votes received the Grand Prize of having their own design crafted into a finished piece of precious metal jewelry utilizing state-of-the art CAD/CAM process (release from the designer is required). Winners within each age group also received a Distinguished Designer Award. All winners and their winning designs will be posted here as soon as possible! This Jewelry Design Contest was sponsored by the Attleboro Jewelers, Women at Work Museum & the Women’s Jewelry Association. Funded, in part, by The Massachusetts Office of Travel and Tourism and a grant from the Attleboro Cultural Council. The Greater Attleboro Women of Today hosted the 3rd annual Wine & Food Pairing event to benefit the Women at Work Museum and the Hebtron Food Pantry at the Cafe Porto Bello Restaurant in center of North Attleboro. The event's menu included generous portions of Cafe Porto Bello’s sumptuous food offerings that were chosen specifically to complement a hand-picked selection of fine wines. Many thanks to restaurant owner, Paula Catalano and her staff as they rose to the occasion presenting the wine and food pairings in a relaxed and enjoyable atmosphere!